The budding Beckhams of the Devon Junior and Minor Football League will be helping raise much needed money for ground-breaking local research into brain tumours, thanks to an exciting new partnership between the league and national charity Brain Tumour Research. The League has agreed a charity partnership with Brain Tumour Research, which includes exclusive rights to fundraise at each League event. More than 5,000 young people aged between six and 18 are involved with the league, which comprises over 300 clubs. 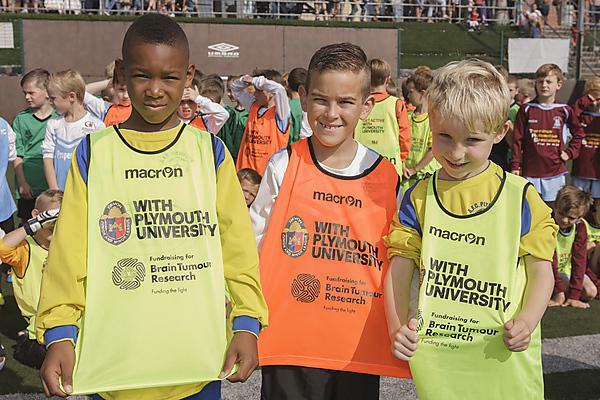 Events include Football on the Piazza in Plymouth, a mini soccer festival and fiercely contested cup finals, as well as well-attended matches throughout the football season. Brain tumours are indiscriminate, leaving parents without children and children without parents, and are the biggest cancer killers of those under 40.